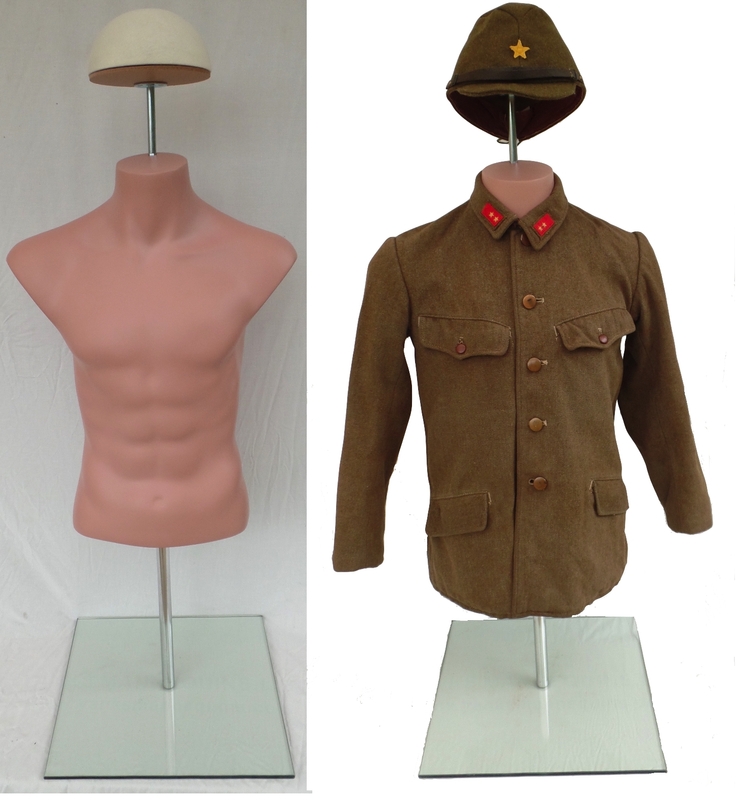 Minimum length telescopic rod 14 "
Maximum length telescopic rod 48 "
Developed and patented by Yanks Mannequins, the small size TOR-HL half-body torso model has been specially developed to fit vintage uniforms and costumes. 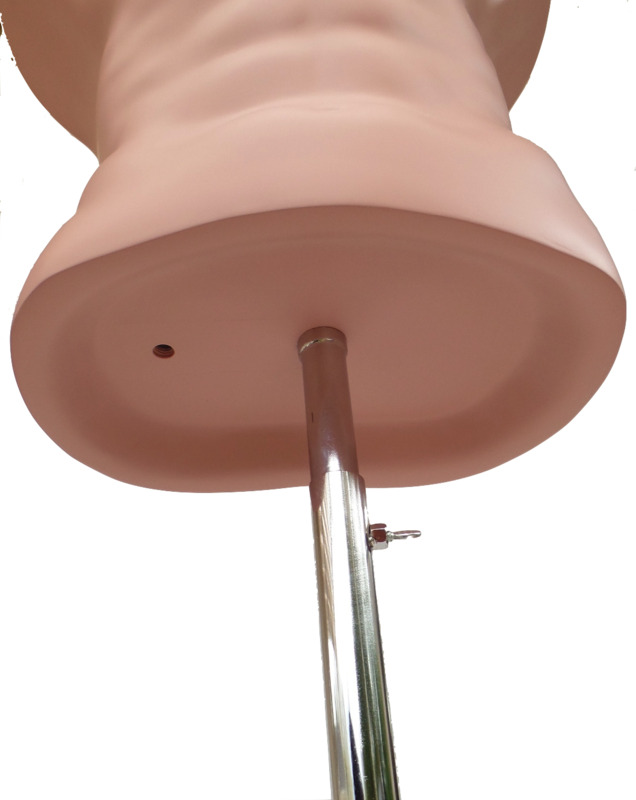 The TOR-HL features a removable headgear support, an adjustable two part rod that can be screwed under the torso at two different locations, and allows for displays with or without pants. 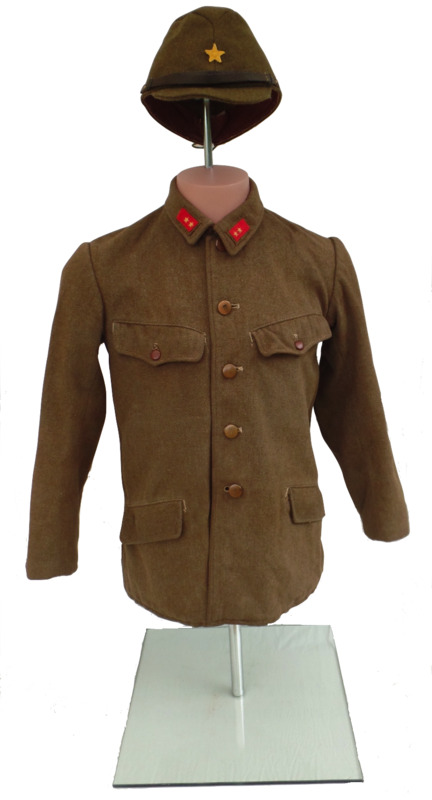 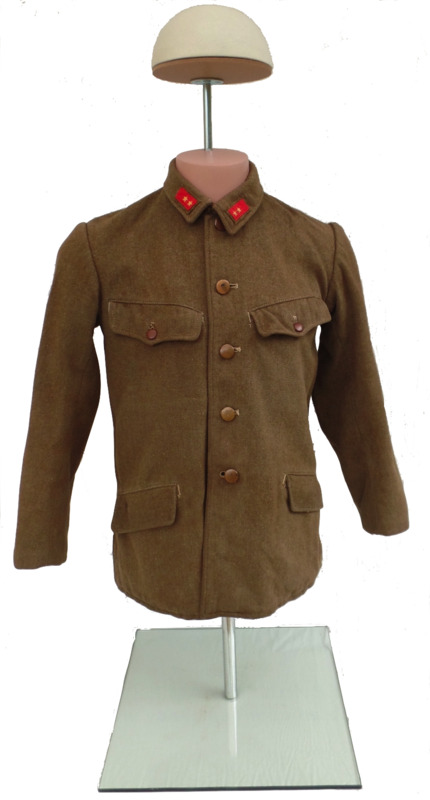 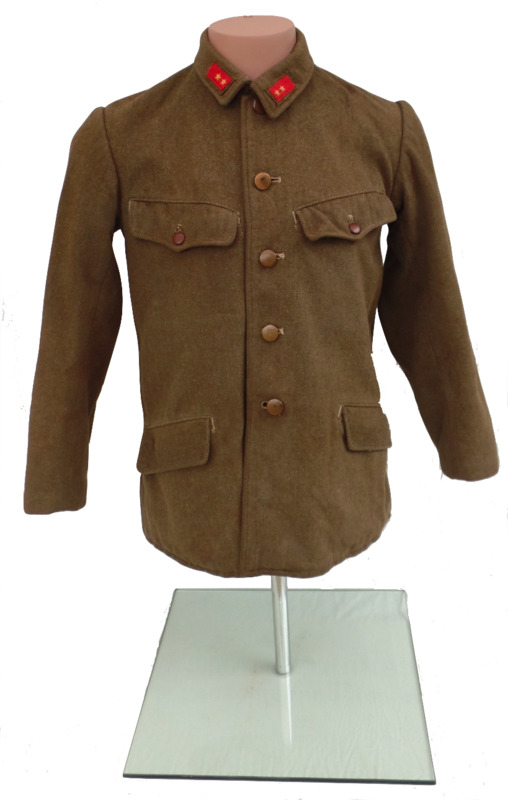 Small sizes to fit vintage WW1, WW2 uniforms. 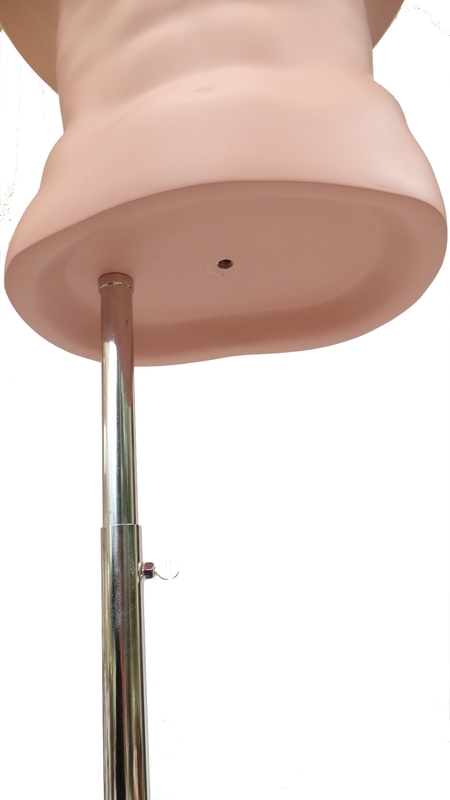 Headless, use with or without the headgear support. 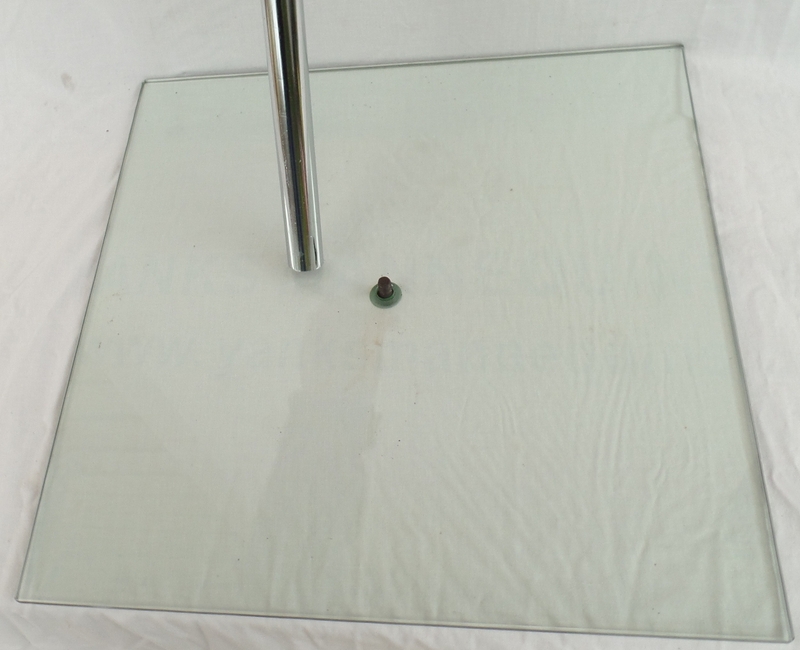 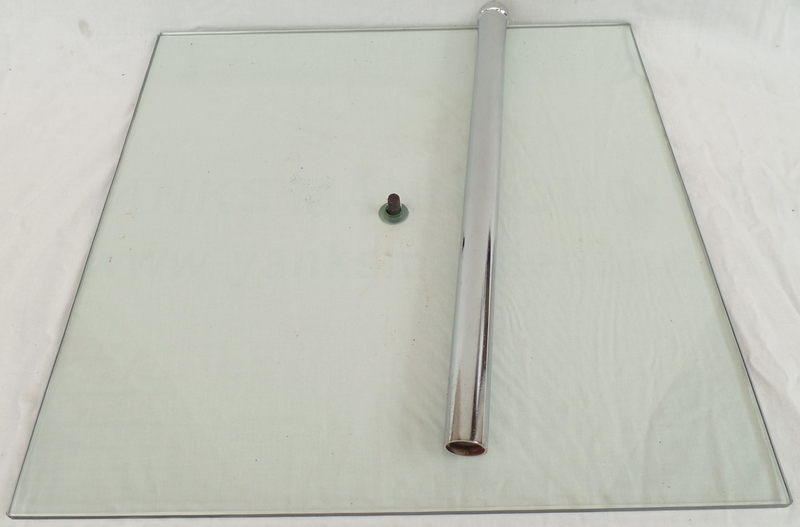 Adjustable telescopic two parts rod for the display of jacket and pants or jacket only. 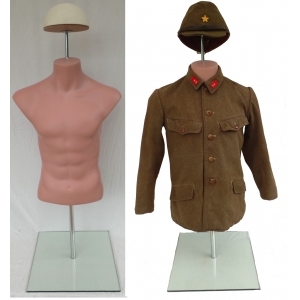 Armless for the display of long or short sleeves garments. 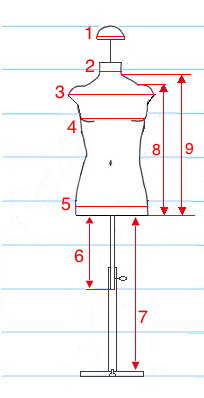 1 : Head girth : 21 inches (54 cm). 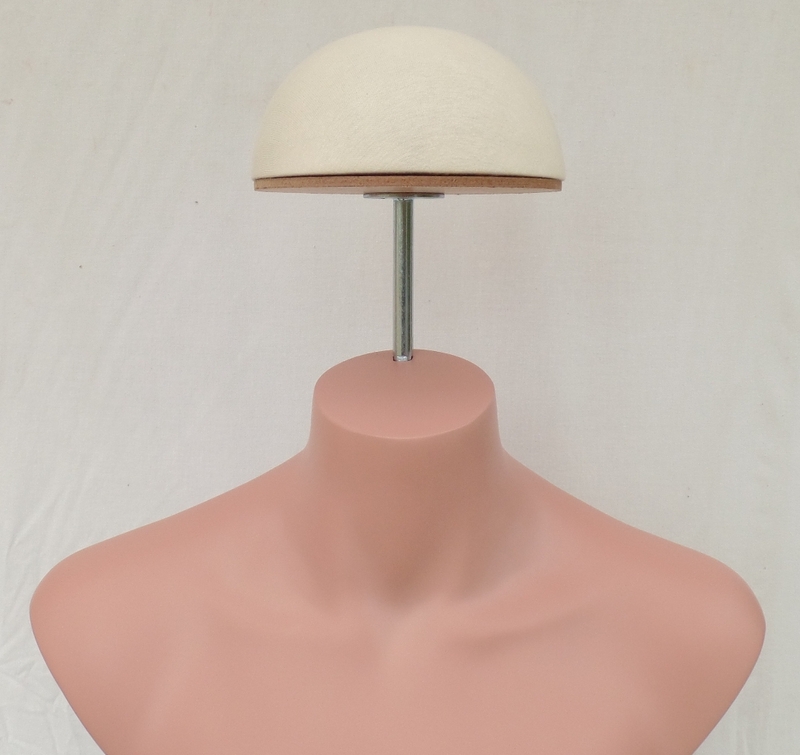 Fit hats from size 6 3/4 and up.